Ellie, aka Eagle Eye Ellie, is a 7½-year-old brindle female born March 1, 1995. 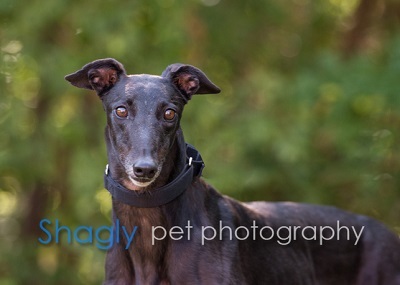 Ellie raced from January 1997 to May 1998 at the Tampa and St. Petersburg tracks in Florida. 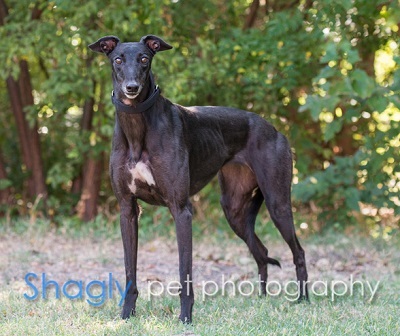 It's a small greyhound world, as Ellie's sire, the well-known Irish bred Tipp Ladd, is grandsire to Horse, Skunk, Max, and Holly. It's time for Ellie to find a couch and hang up her racing and brood-matron days! Ellie is sweet tempered and loves attention. Ellie is small dog friendly, but no cats please! Ellie is thriving in her foster home, learning new tricks from her 4 new siblings. The dog door was figured out in exactly 4 minutes, and there have been no accidents of any kind in the house. She is extremely bright and would be a star in Obedience School or as a therapy dog. Ellie is very outgoing, not at all shy or reserved with new people, is small-dog friendly but NOT CAT FRIENDLY!!! Ellie loves to be right by my side, or going for rides in the car, or playing with the neighborhood kids. She has no interest in stuffies, but amuses herself well by watching at the front window for the neighborhood cats to come by so she can alert the household and protect us all from harm! 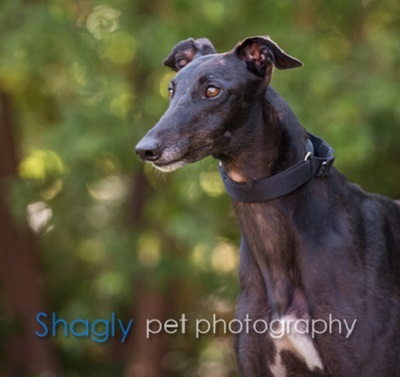 She is a sweet, happy, loving girl who needs someone to adore.